The highly anticipated real-time strategy game StarCraft II: Wings of Liberty will be available in all the stores throughout Europe, Canada, Mexico, Russia, Australia, South Korea, Indonesia, Malaysia, Thailand, New Zealand, Singapore, The Philippines, Hong Kong, Macau, and the Taiwan regions on the 27th of July, 2010, as announced by the developer Blizzard Entertainment Inc. StarCraft players will be able to purchase the game online shortly after the retail launches. 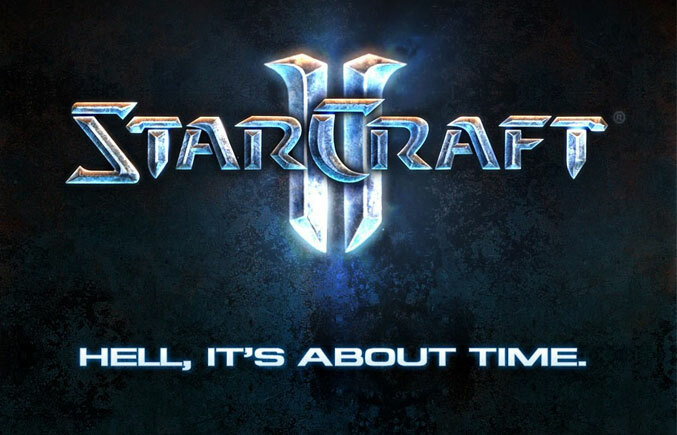 CEO and co-founder of Blizzard Entertainment, Mike Morhaime, explained that they have been looking forward to revisiting the StarCraft universe for many years, and that they are excited that the time for that is almost here. He also said that thanks to their beta testers, they are making great progress on the final stages of development, and that they will be ready to welcome players from around the world to StarCraft II and the new Battle.net in just a couple of months. StarCraft has been respected and hailed by players and critics around the world since 1998, when it was first released by Blizzard Entertainment. StarCraft II: Wings of Liberty is the sequel to the 1998 classic real-time strategy, featuring a new and fresh 3D graphics engine, and focusing once again on the clash between the Zerg, the Protoss, and the Terrans. Each faction will be feature side deploying legions of veteran, and a variety of new upgraded unit types. The new and redesigned from scratch Battle.net service will offer unparalleled online multi-player for StarCraft II: Wings of Liberty, plus several enhancements and new features including online (cloud) file storage, ladders and leagues, achievements, stats-tracking, voice communication between players, and much more. The single player mode will feature a solo campaign for StarCraft II: Wings of Liberty which will take places where the epic saga StarCraft: Brood War ended. The storyline will show familiar and new characters, including Jim Raynor. Players will be able to fully customize their style of play and experience while playing throughout the twenty-nine mission single-player campaign. StarCraft II: Wings of Liberty will also feature several mini-games and challenge modes which are focused to get new players started into the basic multiplayer tactics. For more information on StarCraft II: Wings of Liberty please visit starcraft2.com.